How Do I Stop People From Constantly Interrupting Me At Meetings? What good is making sure you have a place at the table if no one listens to your ideas? Here’s how to regain control. You know the power of speaking up at work, but what good is it if you’re never allowed to finish your thoughts? I’ve been at my job for a little over a year, but this annoying thing keeps happening: I’m constantly interrupted at meetings. I don’t think it’s just me–it seems to happen to other people too–but I do feel like it happens to me more often (maybe because I’m young and a woman in a company of mostly middle-age men). I don’t know if it’s because they don’t respect my ideas or if it’s just how they communicate, but I always wait for the person who is speaking to finish before adding my ideas or questions, but before I can finish, someone is always talking over me. It makes me want to just keep quiet (which I know isn’t a good idea if I want to be viewed as valuable), but I’m too intimidated to call them out on it and say, “Stop interrupting me!” Besides, everyone else seems fine with it. Should I just deal with it and start interrupting people too? 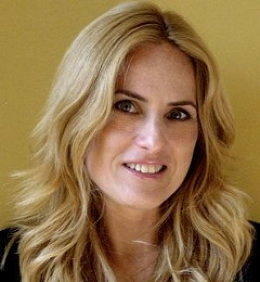 Lolly Daskal is a Leadership Development and CEO coach and consultant and founder of Lead From Within. Follow her @LollyDaskal. I’m sorry you are having a hard time at work, and I’m sure being interrupted is making you feel extremely frustrated. To keep people from taking your spotlight, I think you have two challenges ahead of you: to make yourself persuasive and listenable, and also to find out if you may unknowingly be part of the problem. When I speak, do I get anxious and use clipped or quick, nervous sentences? Do I tend to ramble? Am I unclear with my message? Do I speak to the points people already know before I bring in new data because it feels safer and less nervous? If the answer to any of these is yes, then part of what you need to do is make some changes to your own communication style. You need to feel valued and worth listening to in order to speak with authority and presence, and if your colleagues aren’t giving you that, you need to develop it for yourself. It’s not a question of blaming yourself, but of solving the problem by changing the only part of it that’s within your control. Leave stress behind. Meetings are bound to be stressful experiences for you by now, but the more relaxed, confident, and unfrazzled you are going in, the more respect you can command. Set the tone. Soft voices are perceived as being more passive, and they’re interrupted more often. It will be harder for others to elbow you if you speak in a voice that’s clear and strong (but not loud). Make eye contact. Looking down or away gives people a signal that you are nervous and they may or can interrupt. It’s not a question of blaming yourself but of solving the problem by changing the only part of it that’s within your control. Keep your statements concise. Speak in short, direct sentences and get to the point of what you’re saying without a lot of elaboration. People are more prone to interruption when they are taking a long time to make a point. Pace yourself. Slow down and pace your words evenly to speak with deliberation and authority. Imagine that you are actually standing behind a podium giving a speech. Avoid verbal tics like “um” and “uh.” If you need to stop to consider your words, do it silently. It may be more effective to pause in the middle of a sentence so that there is still the expectation that you’re at least going to finish that sentence. You may want to give some mock responses and make a video recording to help you assess yourself. Interrupt them back. When they pause to take a breath or recall something, find a related thread and bring it back around to what you were saying. Keep going. Don’t automatically stop talking once anyone interrupts. Do all you can to improve yourself, and chances are, the pattern will improve.